#10 D Ring with Nut - C & R Discount, Inc.
A metal #10 D ring with nut. 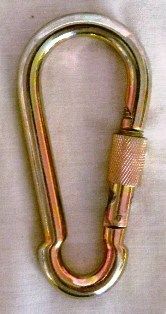 Similiar to a carabiner. Item is sold in a bag that has 12 pieces.